Even though the volume of hard disk becomes bigger and bigger, it still will be full one day. Because the size of apps, programs, files become bigger too. System partition is the most easiest one to be full. When coming into this situation, remove junk files is not enough. You have to expand system partition. Traditionally, people do partition and disk operations in Windows built-in Disk Management. Unluckily, it doesn’t work this time, the option is gray. The Disk Management program can’t extend system partition if there is not an un-allocated space behind it. This is one of limitations in Windows Disk Management. To break through these limitation, we recommend you to try third- party software AOMEI Partition Assistant. From the name – AOMEI Partition Assistant, it is easy know it is a partition software. AOMEI is its brand name. The latest version is 6.3 and added a new wizard feature called “Integrate to Recovery Environment”, which allows you to add AOMEI Partition Assistant and/or AOMEI Backupper(this is another AOMEI famous product, we will discuss it in another article) into the recovery environment of current system. This version also enhanced Windows To Go Creator feature, which added support to install Windows 7 on a USB flash drive or a removable disk. Only Windows 8/8.1 and Windows 10 are able to do this before. If you want to find a tool alternative to Windows Disk Management or find a tool to optimize your partition, AOMEI Partition Assistant is an ideal choice. It enables to optimize disk as well as system too. AOMEI Partition Assistant has full-scale functions for partition and disk: resize partition, move partition, merge partitions, split partition, allocate free space, copy partition and disk, recover partition, command line partitioning, quick partition, create partition, delete (all) partition, format partition, align partition, wipe partition and disk, hide/unhide partition, change drive letter, label, change partition type ID, serial number, check errors, view partition and disk properties, rebuild MBR, initialize disk, convert dynamic to basic, convert MBR to GPT and vice versa, between NFTS and FAT, primary and logical, etc. Migrate OS to SSD, make bootable media are useful for optimize and protect your system. All above functions you can find from the main interface or context menu. In a word, AOMEI Partition Assistant is easy and safe to use. 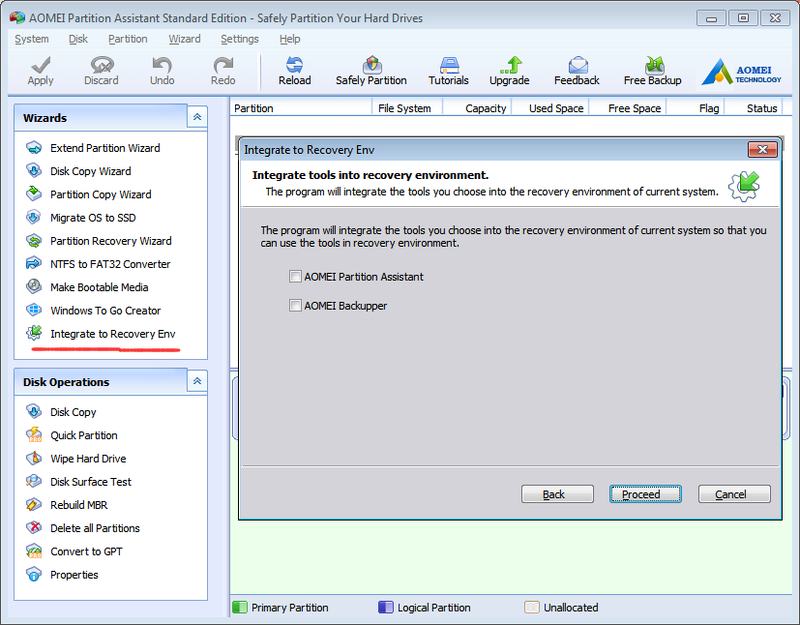 AOMEI Partition Assistant has several editions. The most used edition is Standard Edition as screenshot shown in this article. Standard Edition and Lite Edition are freeware, while other advanced editions are paid to use. Even so, there are more free functions than similar partition software in the market. Only one settings in AOMEI Partition Assistant is language, multiple languages are English, German, French, Japanese, Spanish, Italian, Hungarian, Polish, Portuguese, Russian, Vietnam, Catalan, Chinese, Dutch and Turkish. Welcome people all over the world to download this practical software!